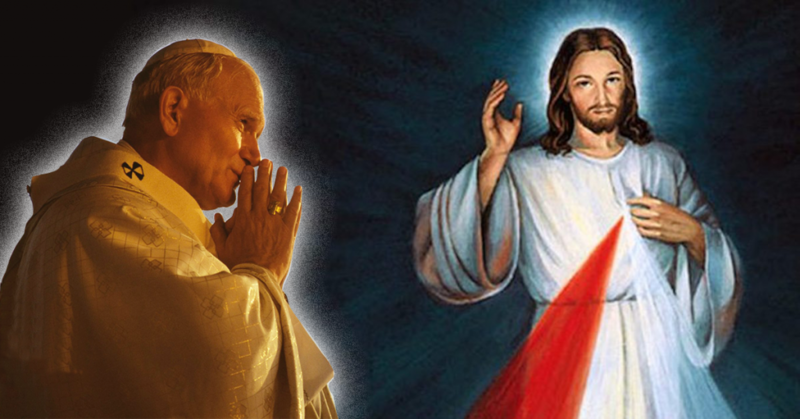 Pope Saint John Paul II spoke these words on April 22nd, 2001 on Divine Mercy Sunday. To enter more deeply into the mystery of God’s merciful love, we have created a free compilation of Divine Mercy prayers for you to meditate on. Please enter your information down below and you’ll be directed to a page where you can download the e-booklet. Please enter your information and you'll be directed to a page where you can download the e-booklet. I would like to receive updates on prayers, masses, and other news from the St. John Paul II Society.